As the temperature starts to fall, the leaves begin to change, and pumpkin spice is in the air, you can keep summer alive on your walls. 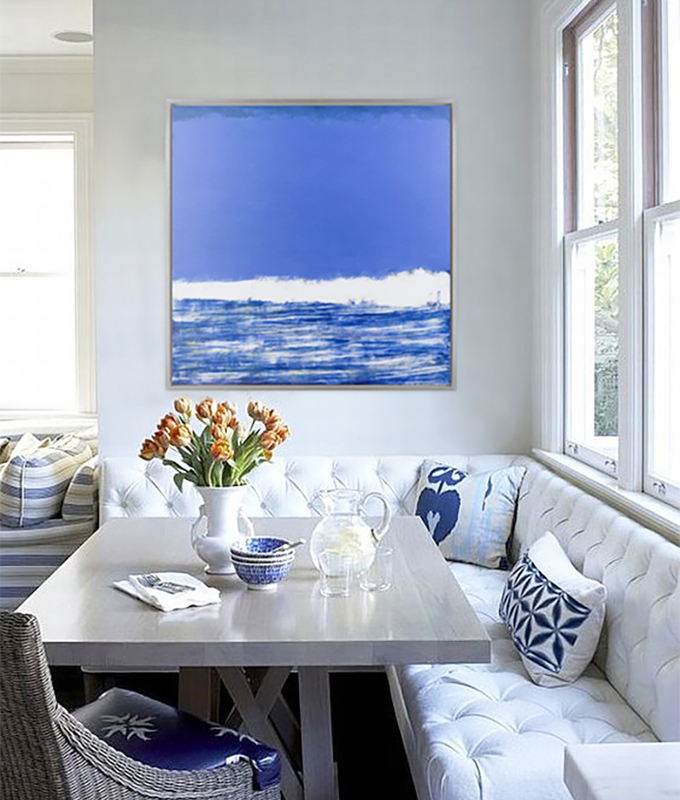 Choose art with cool blue hues, calming seascapes, and sunny skies to transform your home into a year-round summer oasis. 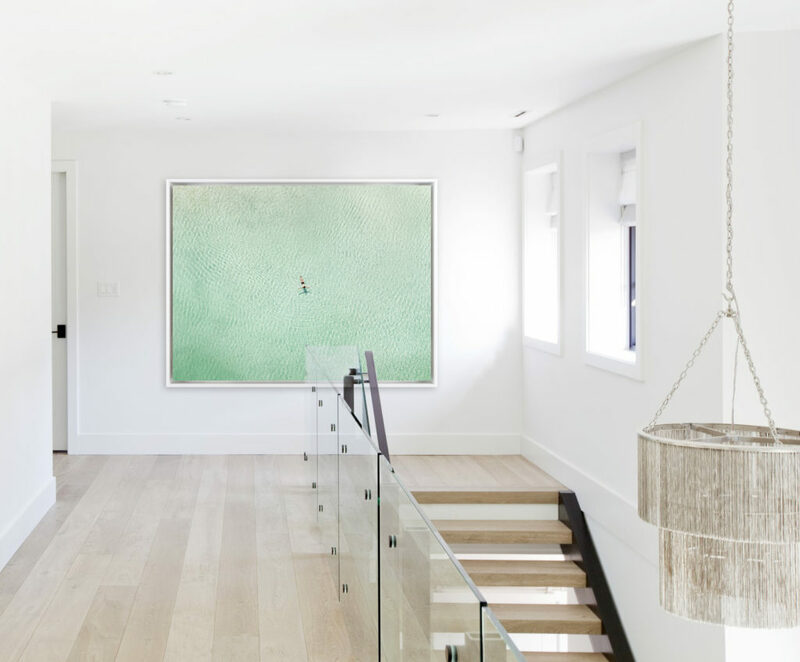 Carry Me Away by Joshua Jensen-Nagle instantly warms up and provides depth to this minimalist hallway. The large-scale photograph fully immerses the viewer in its expansive aquamarine sea. Crisp whites and blues can give your space a fun ocean-inspired style. The frothy waves of Jeff Erickson’s Gathering Surf complement the beachy decor of this cheerful breakfast nook. Liz Barber Leventhal’s Waterfall combines organic shapes and textures to convey a vibrant nature scene. 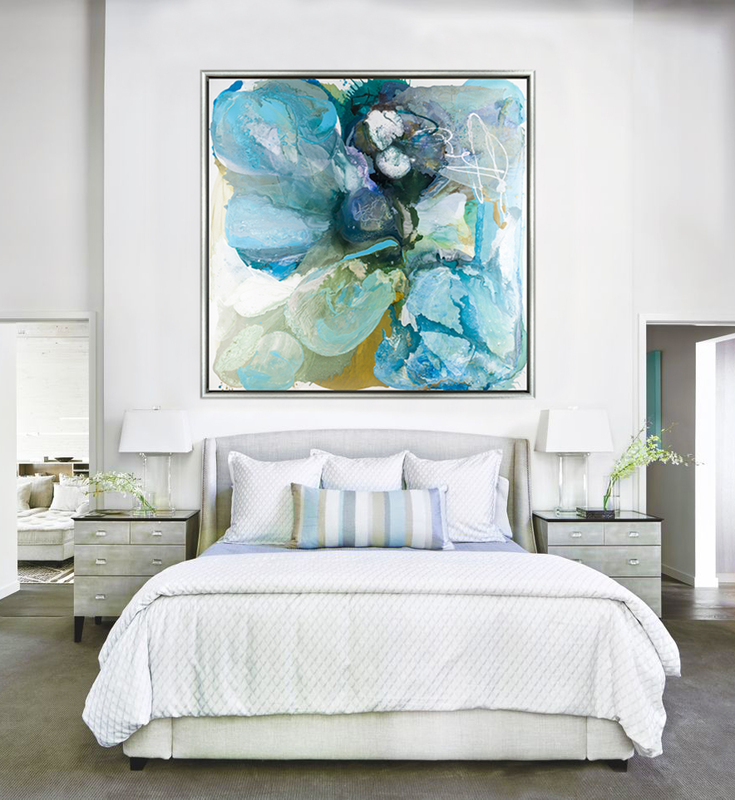 Layers dance within the canvas to bring a feeling of warm natural light into this tranquil bedroom. Beach Ball Saleman’s stark landscape and bright pop of color takes us into a nostalgic summertime dream. 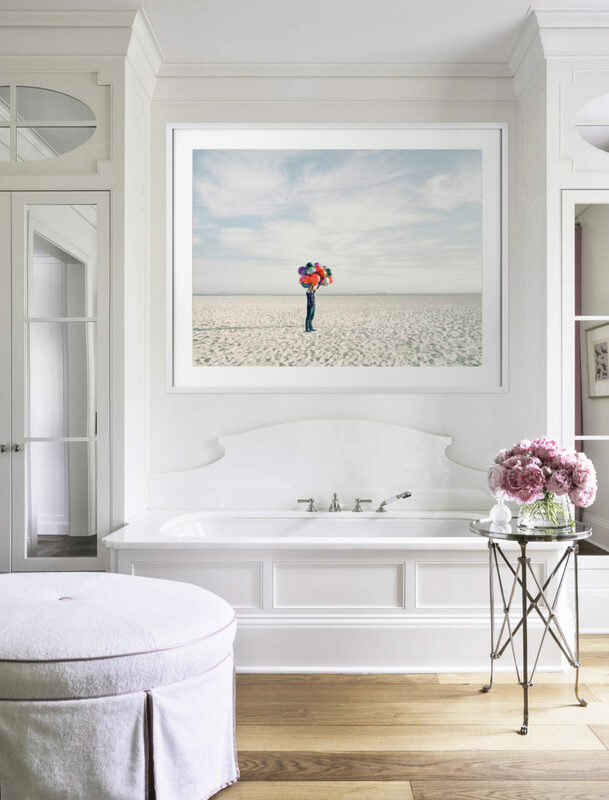 David Burdeny’s whimsical photograph give this traditionally feminine bathroom a fresh twist. Josef Kote’s Time to Reflect evokes the stillness and serenity of a calm day on the water. The sweeping strokes and balance of colors add an air of summer romance to the light-filled living area.